In the 1980s both Meron and Zadan worked for Peter Guber, CEO of Sony Pictures Entertainment, but Zadan moved to Hollywood while Meron stayed in New York. Zadan had his first major producing job in 1984 with Paramount Pictures’ Footloose. Forming their partnership production company “Storyline Entertainment” in 1991, the pair brought out the film If Looks Could Kill. Their first solid success was Gypsy, a television adaptation of the stage musical, starring Bette Midler, which received twelve Emmy nominations. But it was in the twenty-first century that Meron and Zadan really hit their stride. In 2003, Chicago became the first film musical in thirty-six years (since Oliver!) to win Best Picture at the Academy Awards. It gathered in five more Oscars as well. In 2007, Hairspray broke the record for opening weekend ticket sales for a movie musical. Chicago and Hairspray are both among the four highest-grossing film musicals in American history. Other successful productions by Meron and Zadan for the small screen have been Brian’s Song (2001), Martin and Lewis (2002) with Sean Hayes, A Raisin in the Sun, Living Proof (2008), and the series Drop Dead Diva (2009). For the big screen, the pair produced the major motion picture The Bucket List (2007), starring Jack Nicholson and Morgan Freeman. As openly gay men since the start of their careers, Meron and Zadan have focused several of their projects on issues surrounding gay rights. The Emmy-nominated (1995) Serving in Silence: The Margarethe Cammermeyer Story, co-produced by, and starring, Glenn Close, was a groundbreaker, dealing with the civil lawsuit of a lesbian colonel in the National Guard that resulted in the 1994 Seattle ruling that the ban on gays and lesbians in the military was unconstitutional. The Reagans (2003), a controversial mini-series – recipient of seven Emmy nominations and two Golden Globe nominations –, highlighted what many viewed as the homophobic attitude of President Reagan toward the victims of AIDS in the 1980s. Lifetime’s What Makes a Family (2001) centered around custody rights of homosexual couples; the ABC sitcom It’s All Relative (2003–2004) focused on the cultural gap between heterosexual and homosexual families; Wedding Wars (2006) addressed gay marriage. Meron and Zadan have received two awards from the Gay and Lesbian Alliance Against Defamation (GLAAD). In 2007 The Hollywood Film Festival named Meron and Zadan Producers of the Year, and in 2008 the Casting Society of America gave them the Career Achievement Award. 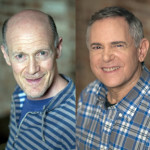 In 2010 Meron and Zadan have returned to their first love, the Broadway musical, with the revival of the Neil Simon/Burt Bacharach/Hal David musical comedy Promises, Promises.